It is with great excitement I announce a rather large new feature to The Black Vault. I have completed integrating in a system, which I now call "The Social Network Buzz". This means, The Black Vault Message Forums are now completed integrated in the most popular social networking platforms, which includes Facebook, Yahoo!, AOL and Hotmail. You are able to use these accounts listed above to post on the forums here. 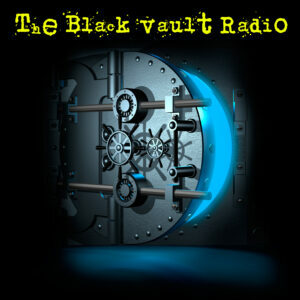 If you have a Black Vault account, I recommend posting in the forums as you usually do. However, this new feature allows those that do not choose to register for a FREE Black Vault account to use the forums, and post their comments, ideas, etc in "The Social Network Buzz" on the bottom of each thread. That said, you also have the ability to "Recommend" and "Share" each topic to your friends on Facebook. This will help considerably pass the word about this resource. 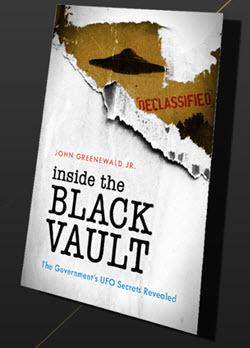 As you may not know, there has been a huge surge of Facebook traffic here to The Black Vault. These new features will help continue the growth of The Black Vault - and make the resource even more valuable for those that utilize it. Please feel free to post any comments, questions or suggestions on this thread about this feature. I am still considering this a "testing" phase, and hope you will all try out the features and let me know how they work. "I have measured out my life with coffee spoons"
We will see... I hope it doesn't turn in to that, but I have full control to delete any unwanted comments, even in the Social Network Buzz, so shouldn't be a problem! "blackvault" wrote: We will see... I hope it doesn't turn in to that, but I have full control to delete any unwanted comments, even in the Social Network Buzz, so shouldn't be a problem! Welcome to the site 🙂 Good to have you join up... and enjoy your time here! Government agencies such as FEMA are allegedly teaching that the Founding Fathers should be considered terrorists. If the Founding Fathers were alive today, they would probably run afoul of all of these categories. As such, they could very well end up indefinitely detained at Gitmo … or assassinated. The German magazine Der Taggspiegel went so far as to point out that accused theater shooter James Holmes and Norwegian mass murder Anders Behring Breivik have common ground in their lack of Facebook profiles. On a more tangible level, Forbes.com reports that human resources departments across the country are becoming more wary of young job candidates who don't use the site. The common concern among bosses is that a lack of Facebook could mean the applicant's account could be so full of red flags that it had to be deleted. Slate.com Advice Columnist, Emily Yoffee, wrote in an advice column that young people shouldn't date anyone who isn't on Facebook. 'If you’re of a certain age and you meet someone who you are about to go to bed with, and that person doesn’t have a Facebook page, you may be getting a false name. It could be some kind of red flag,' he says. Yoffee points out that these judgements don't apply to older people who were already productive adults before social media became widespread. It points out that Holmes, who is accused of killing 12 people and an unborn child and wounding 58 others at a movie theater in Aurora, Colorado, and Breivik, who murdered 77 people with a car bomb and mass shooting, did not use Facebook and had small online footprints. Breivik used MySpace and Holmes was reportedly on the hookup site Adult Friend Finder. Psychologist Christopher Moeller told the magazine that using Facebook has become a sign of having a healthy social network. Psychologists have noted that Holmes, along with several noted mass murderers, have lacked any real friends. And this is what the argument boils down to: It's the suspicion that not being on Facebook, which has become so normal among young adults, is a sign that you're abnormal and dysfunctional, or even dangerous, ways. Think what you like, but it looks like Facebook is being/will be used for much more sinister things other than letting your friends know that you had scrambled eggs for breakfast. I don't disagree that adding this Facebook-Thing to your site has increased your traffic greatly. But is it really smart to have your Real Life Identity tracked to sites that discuss conspiracies and the like? Martial Law is real, TPTB have been practicing. Must watch video, especially for Canadians: Into the Fire - See what actually happened at the G20 Summit in Toronto. Having Facebook is not a requirement here, it's simply an optional feature. Many that come from Facebook choose not to register here... but have great ideas and things to share. The Social Network Buzz feature is simply an extension to the message forums, so others outside The Black Vault website can join in, and add their comments and ideas. "blackvault" wrote: Having Facebook is not a requirement here, it's simply an optional feature. My message was merely to provide some info to people regarding the situation - A person having their Facebook account tied to a website that discusses conspiracies, aliens, and everything else on the fringe, might not be a smart idea these days. I wasn't trying to imply anything devious going on regarding your website. Apologies if that's how my post came across.